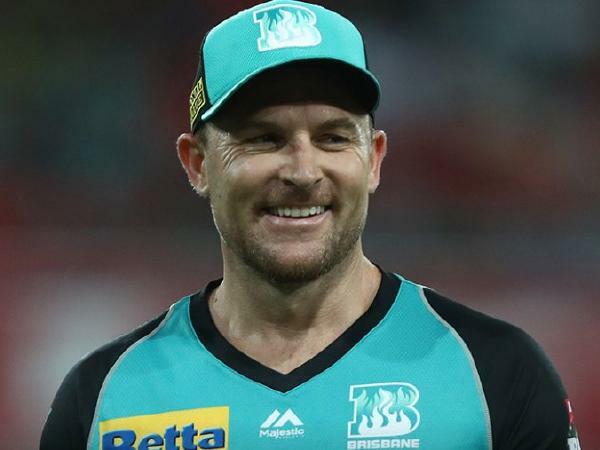 Brendon McCullum, the former New Zealand captain, has announced that his participation in the ongoing Big Bash League (BBL) will be his last in the tournament as he looks to wrap up his playing career and transition into a coaching role. McCullum, who is part of the Brisbane Heat set up, informed his team-mates about his decision on Sunday night following his team's six-wicket victory over Adelaide Strikers in which he scored a 39-ball 51. The Heat's match against Melbourne Stars on Friday (February 8) will be McCullum's final BBL appearance at The Gabba. Currently with 11 points and a game in hand, the Heat are placed fifth on the points table and need a few results to go their way in order to make it to the semifinals. Unsold in the IPL auction, Mccullum will be participating in other T20 leagues this year before taking up other responsibilities. "I will continue to play T20 cricket in 2019 in various competitions around the world and will then look to transition into a coaching career," McCullum said in a statement.